How to improve refractive index measurement with digital refractometers? 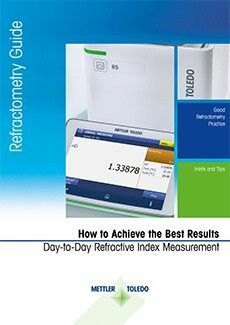 Download a free copy of the refractive index measurement guide to learn how to avoid errors when measuring the refractive index, BRIX, HFCS or concentration of liquids and how to achieve the best results, especially with digital refractometers. Test and Adjustments: What is best, regular tests or regular adjustments? How often should the refractometer be tested or adjusted, with which substance? Which tolerance should be applied? 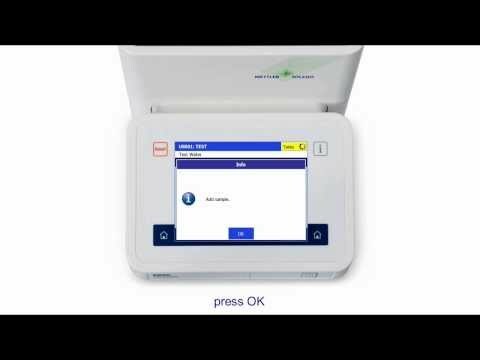 Samples: Which types of sample can be measured with a digital refractometer? Which are the difficult samples and how to measure them? What can be the effect on the measurement? Sampling: Which types of syringe should be used? How to avoid air cushions? How much sample should be applied? Cleaning: How should the cell be cleaned, depending on the sample? Which solvents should be used? Result verification and documentation: How to detect errors for critical/problematic samples? How to convert the result in other units or concentrations? How to automatically verify if the result is within product specification (Quality Control)? 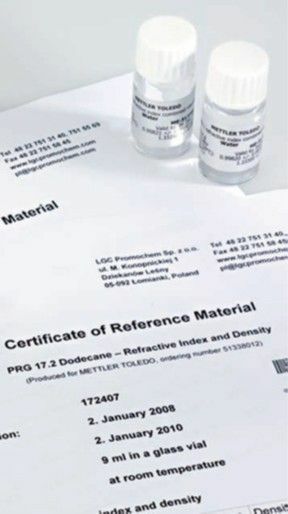 Download the Refractive Index Measurement Guide and get Tips and Hints to avoid errors when measuring the refractive index of liquids. 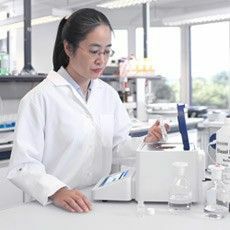 Instead of frequent adjustment, it is better to regularly verify the measurement accuracy of the system by measuring a sample of accurately known density (e.g. distilled water or a standard) which is called test, calibration or check. Then the measured refractive index is compared to the known nominal value of the sample. Pasty samples, for instance tomato puree, bear the risk of air cushions between the prism and the sample. Make sure that the sample is in full contact with the prism by “pressing” it down. 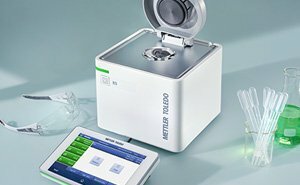 METTLER TOLEDO RM Refractometers can be equipped with an easy mountable presser. When the lid is being closed, the sample is automati- cally pressed to the prism. Use plastic syringes with luer tip, preferably 3-component syringes (with rubber O-ring) as they allow a much better speed control than cheap 2-component syringes. 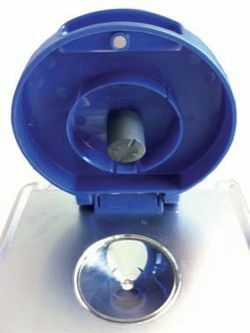 To remove the sample (and the solvents) from the refractometer cell, it is suggested to use a syringe. This “waste syringe” can be used over and over again (tip: mark this syringe, for instance with black tape). Using a syringe saves a lot of soft tissue cleaning wipes and reduces waste. Clean with an ideal solvent a few times. 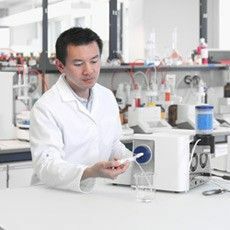 The solvent must be able to quickly dissolve the sample. A second solvent which allows quick drying (e.g. Acetone) of ten bears the risk for contamination!